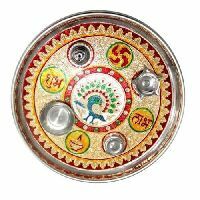 We stand tall among the Suppliers of Brass Pooja Thali in Moradabad. 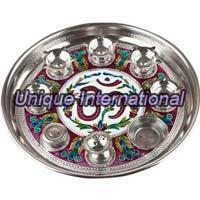 The Brass Pooja Thali, offered by us is widely demanded and used in religious ceremonies. 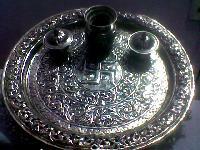 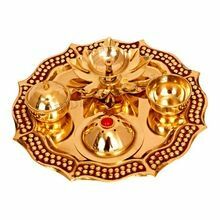 The Brass Pooja Thali is a quality Brass Product and can be availed at the market leading prices. We ensure the timely delivery of the Brass Pooja Thali at all times. 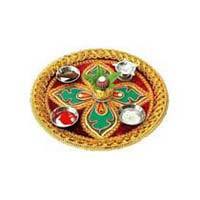 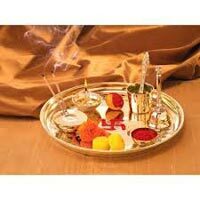 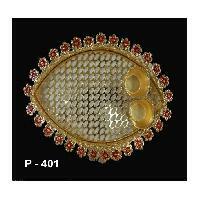 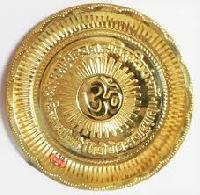 We offer Brass Pooja Thali with Pooja accessories. 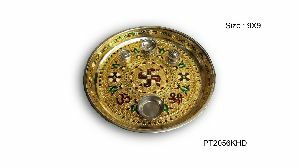 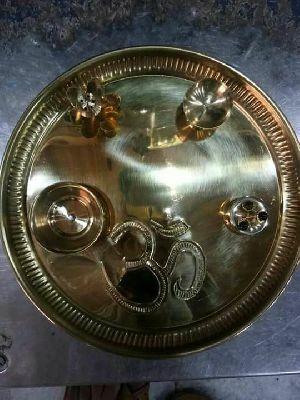 Beautifully made brass pooja thali. 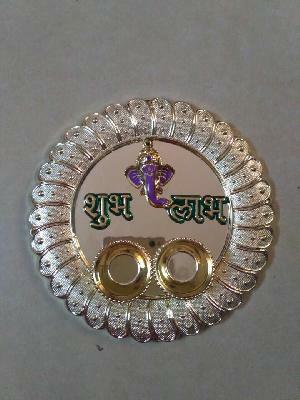 Specially designed for festivals. 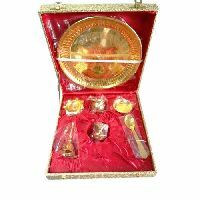 Complete set contains 7 items for sindoor, agarbatti, water etc. 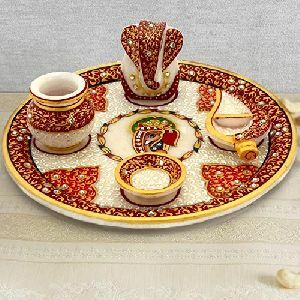 Ideal for festive gifting or any other auspicious occasions. 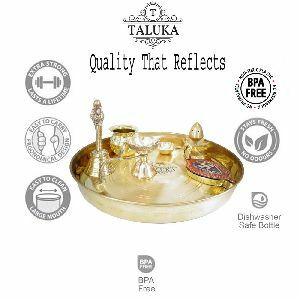 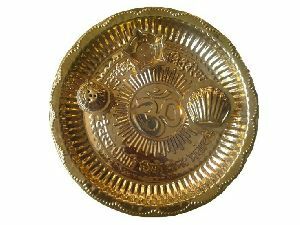 We are a highly acclaimed and a much sought-after Manufacturer, Exporter and Supplier of Brass Pooja Thali in Ghaziabad. 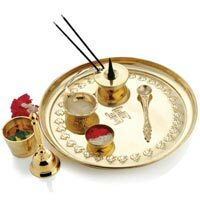 The Brass Pooja Thali, offered by us, is elegant and stylish and is designed using the best grade raw materials. 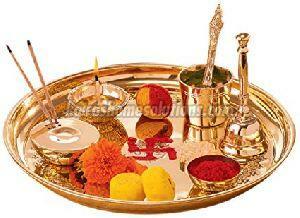 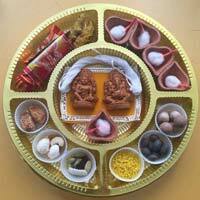 We offer the Brass Pooja Thali at the best prices on a timely basis. 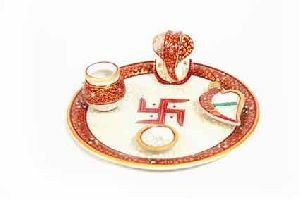 The company is deeply rooted in Moradabad(India) and is acknowledged for its fair pricing policy and professional attitude. 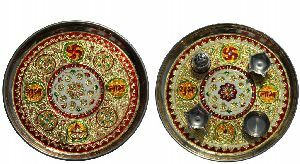 Our brass pooja thali has a decorative silver and gold plating with handcrafted designs. 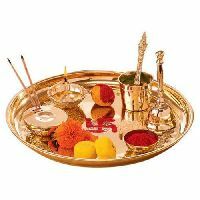 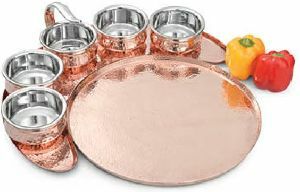 We are reckoned amidst the well-known Suppliers of brass pooja thali as we offer only the best quality products. 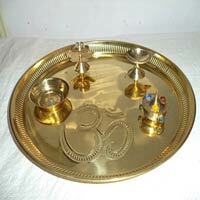 We are offering brass pooja thali. 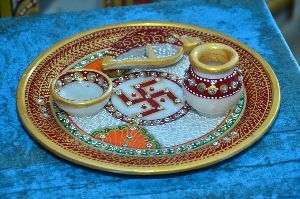 It is a ritual product, used at the time of puja and hawan. 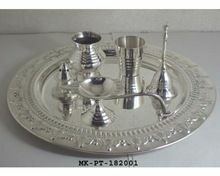 It is also used as a gift. 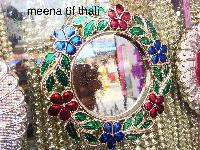 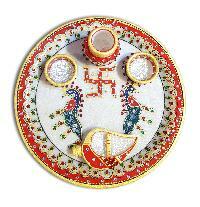 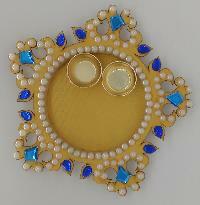 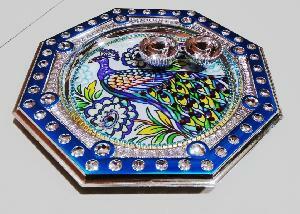 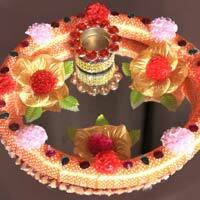 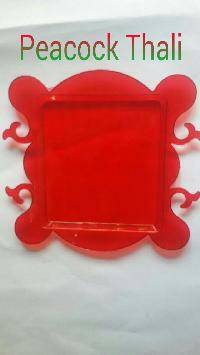 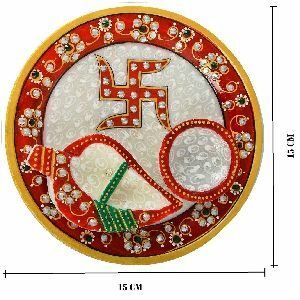 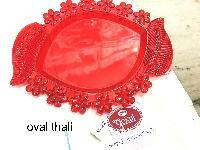 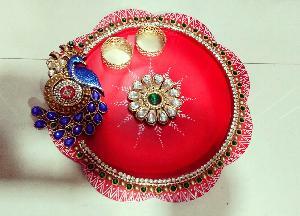 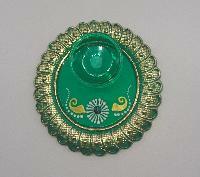 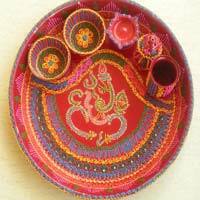 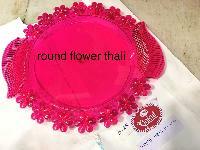 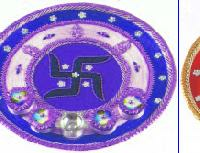 This pooja thali is especially used in marriage ceremony as a decorative itoms which is attractive !!!!. 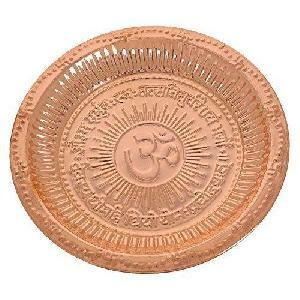 TEXT WRITTEN : "OM" AND "GAYTRI MANTRA"